Doug is a Consultant with Social Ventures Australia (SVA). He brings four years’ experience in policy analysis and implementation for the Australian Government. Prior to joining SVA, Doug worked at the Department of the Prime Minister & Cabinet and the Federal Department of Education and Training as an education policy adviser. Doug also worked as an engagement officer in Central Australia, supporting remote First Australian communities. He has volunteered in a variety of non-profit organisations in Australia and Latin America. 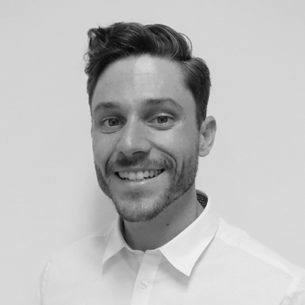 Since joining SVA, Doug has worked on a variety of organisational strategy and outcomes monitoring and evaluation projects, with a particular focus on First Australian and education-related initiatives. This has included conducting an organisational review for the Melbourne Indigenous Transitions School (MITS), using SVA’s Fundamentals for Impact. Through his work at SVA Doug has also supported Culture is Life, an Aboriginal organisation which addresses the prevalence of Aboriginal youth suicide, to develop a Theory of Change and outcomes monitoring platform. In the context of the National Disability Insurance Scheme rollout, Doug conducted a business review of the House With No Steps’ (HWNS) Australian Disability Enterprises.